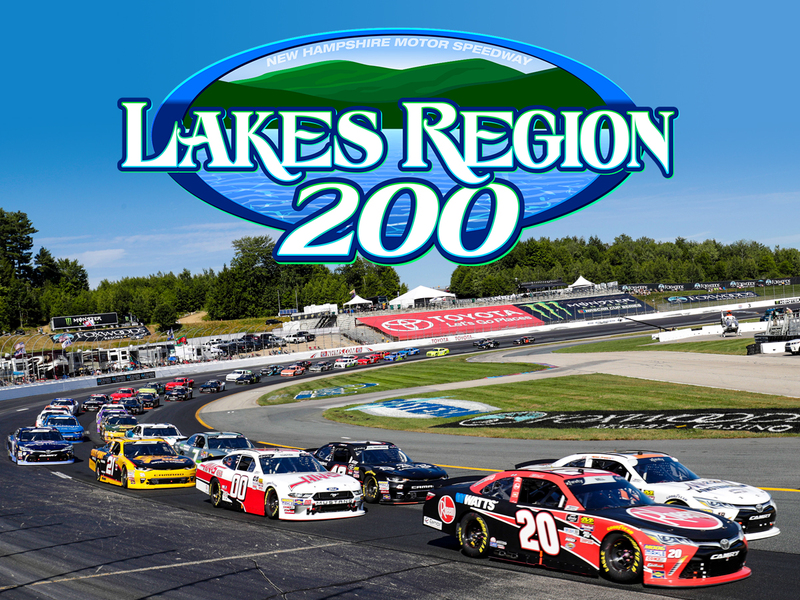 The NASCAR Xfinity Series Lakes Region 200 will start at 4:00 p.m. on Saturday, July 20, 2019. The Lakes Region 200 NASCAR Xfinity Series race at New Hampshire Motor Speedway will start at 4:00 p.m. on Saturday, July 20, 2019. The Lakes Region 200 will be broadcast live on NBCSN and all local PRN radio affiliates. This announcement was made today in collaboration with NBC Sports Network and NASCAR. Lakes Region 200 - Saturday, July 20 at 4:00 p.m. The NASCAR Xfinity Series Lakes Region 200 is one of three races taking place on Tripleheader Saturday as part of New Hampshire Motor Speedway's July NASCAR Weekend, July 19-21. The day will also feature the NASCAR Whelen Modified Tour Eastern Propane & Oil 100 and the NASCAR K&N Pro Series East United Site Services 70. The weekend wraps up with the Monster Energy NASCAR Cup Series Foxwoods 301 on Sunday, July 21 at 3:00 p.m.
For more information on the Lakes Region 200 or other events, visit the speedway's website at NHMS.com or by calling Fan Relations at (603) 783-4931.